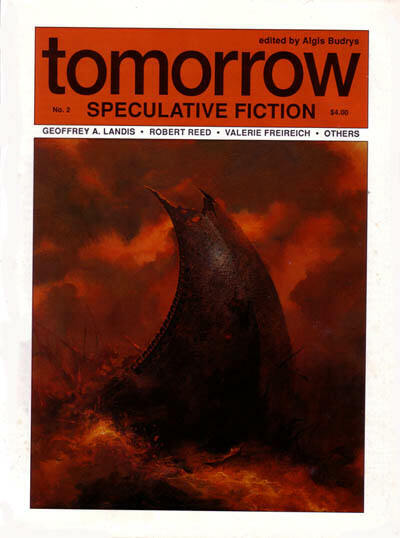 Thunders Shadow Collectors Magazine [v4 #1, February 1993] ed. Erik Secker (Winfield, IL, quarto) Second fiction issue. 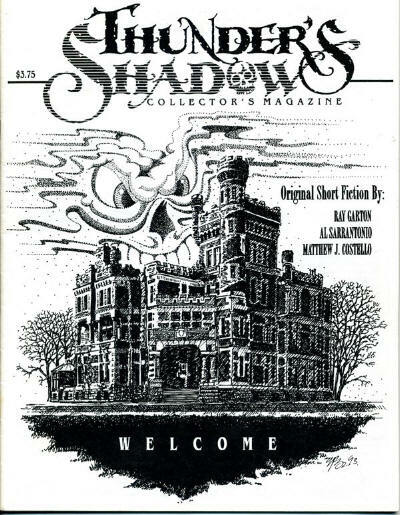 Thunders Shadow Collectors Magazine [v4 #2, August 1993] ed. Erik Secker (Winfield, IL, quarto, cover by Walt Schmidt) Third fiction issue. 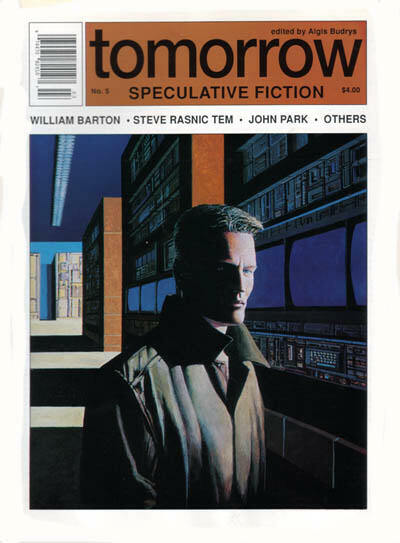 Threads [Issue 1, October 1993] ed. 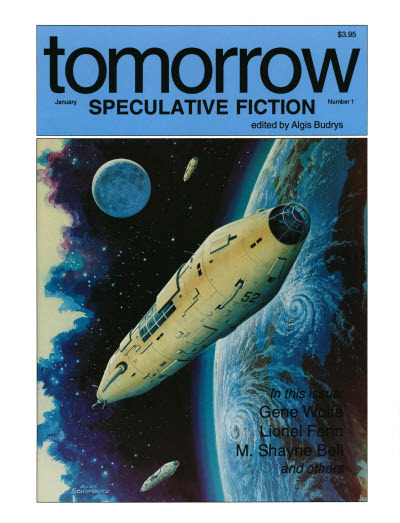 Geoff Lynas (First Rung Publications, £1.95, 55pp, A5, cover by Kerry Earl) Small press sf/fantasy/horror fiction magazine. Available from First Rung Publications, 32 Irvin Avenue, SALTBURN, Cleveland, TS12 1QH. 62 · The Spook-Box of Theobald Delafont De Brooks · Avram Davidson · nv; given in ToC as The Spook-Box of Theodore Delafont De Brooks. 29 · Soft Bones, Hard Feelings & The Insekt Moste Effluvious · Mark McLaughlin · ss; substantially revised from Hard Feelings, UnReality #1. 22 · Eternity? · Andrew J. Cunningham · vi; given as by Andre J. Cunningham in toc. 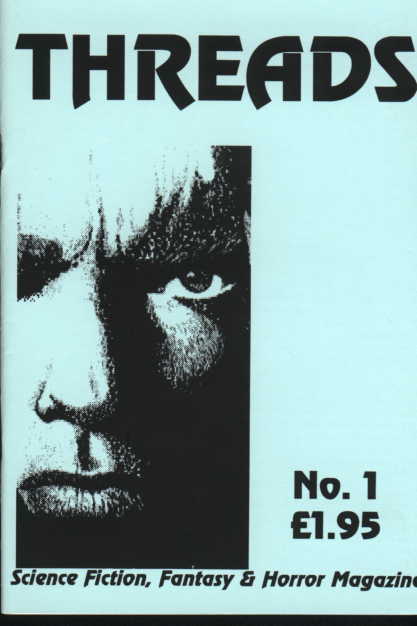 Weird Tales [v54 #1, Whole No. 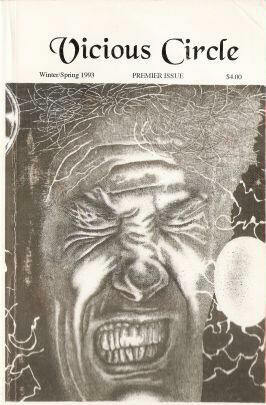 306, Spring 1993] ed. 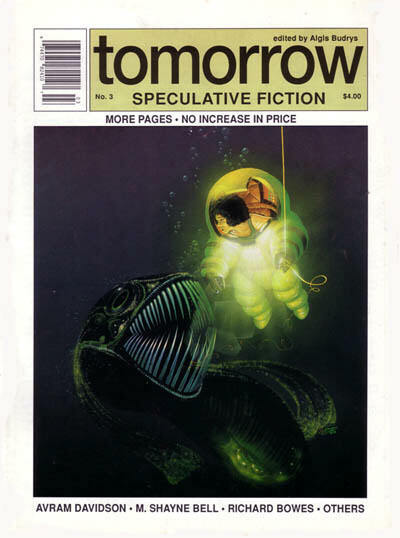 Darrell Schweitzer (Terminus Publishing Company, Inc.; Philadelphia, PA, $4.95, 84pp, quarto, cover by Nicholas Jainschigg) Special Nina Kiriki Hoffman Issue. 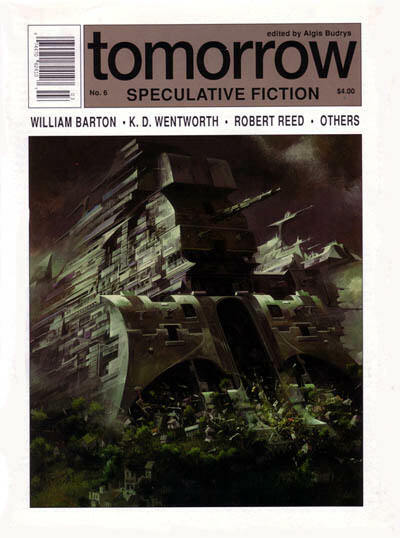 Weird Tales [v54 #2, Whole No. 307, Summer 1993] ed. 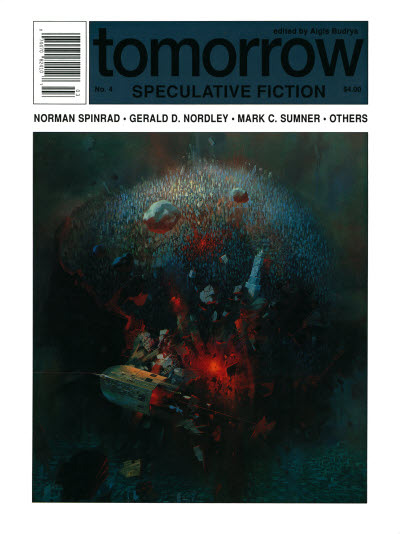 Darrell Schweitzer (Terminus Publishing Company, Inc.; Philadelphia, PA, $4.95, 84pp, quarto, cover by Paul Lehr) Ian Watson Issue.